Sometimes that which is buzzed about turns out to be worth the attention, but not always. Marc Jacobs Honey is a fresh floral-fruity fragrance suitable for summer months. Recently it has been advertised everywhere, but its smell is nothing special. It smells like any yearly floral-fruity spring/summer offering with a noticeable dose of honey, which permeates the composition in a somewhat obtrusive way. Mandarin orange and pear open the fragrance on citrus and fruity notes, with the former extended and florafied in the midnotes by orange blossom. Honeysuckle builds on the white floral vibe. Peach adds to the honey facet to make the sweetness fresh. Despite the theoretically delicious pairing of white flowers and honey, Honey smells a touch synthetic. The fragrance has a decent longevity of 4-5 hours and a sillage similar to any eau de toilette (radiating about an arm’s length and leaving a light trail), but its projection and (unnatural,) bright, bubbly character quickly fade. Unfortunately, there is not enough to set this fragrance apart from the competition. I was very excited to try Creed’s fragrances because they are known for their refinement. Acqua Fiorentina has been described as “a breath of fresh air” and “a copy of Dolce & Gabbana’s Light Blue“. Acqua Fiorentina is a citrus, fruity, refreshing summer scent. It opens with plum, apple, and a large dose of bergamot. A hint of pear and lemon follow through and connect with cedar in the base, along with grapefruit. It smells of an evening by the sea and a margarita, with hints of flowers from far away wafting in the breeze. It lasts about 5 hours, has a noticeable trail and radiates within personal distance. There are definitely some similarities between Light Blue and Acqua Fiorentina, they do have apple, cedar, lemon, and rose in common, and they are both considered floral-fruity and citrus. However, Light Blue is more woody and lemony, whereas Acqua Fiorentina is more fruity and salty. Chances are, that a person who likes Light Blue will like Acqua Fiorentina and the other way around. I find Acqua Fiorentina to be the more feminine and refined of the two. 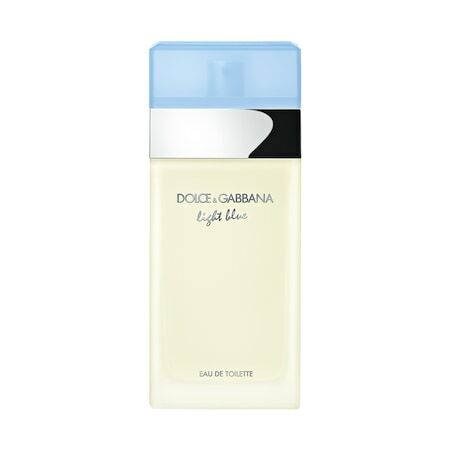 Dolce & Gabbana’s Light Blue is one of the most popular fragrances on the market. It is light, likable, yet unique – clean enough for day wear, yet too nuanced to be too plain. The distinct lemon smell is familiar without being boring. An instantly recognizable perfume. Light Blue is a citrus composition dominated by sparkling Sicilian lemon with an undercurrent of woody elements. Lemon opens this perfume and lasts for the majority of its duration. The second prominent note is cedar, also present throughout the life of Light Blue, adding a slightly masculine tone. Apple blends very well with lemon in the top notes for the freshest burst of fragrance I had ever smelled. Bamboo ties all of these parts together with an ozonic and green scent. Everything is blended such that it is a whole, not disparate notes poured together into a flacon. Light Blue is best suited for daytime. It is a refreshing choice for summer, or for a lucky hot day in the spring. It lasts approximately 5 hours, although depending on the soap and lotion underneath, it can extend to over 12 hours. In either case it radiates within arms’ length of the wearer with a long, lemony trail. Any fragrance will become boring after a while and Light Blue is not an exception. While rotating scents, however, it can become a jewel in a collection. For those that are loyal to only one scent this is often the one. There are many fragrances on the market that start out very nice, but fade so quickly that the feeling of being duped replaces the initial dazzle. Generally, these fall into the fruity genres. Or, perhaps, it’s just my skin that bends these scents into ghosts of their initial selves. I wish the starting scent would cling longer. I don’t think that there’s anything particularly special about my skin, however, so other people surely have the same problem. If the company hadn’t neglected to test the fragrance for quality and longevity of various skins, it would be a better perfume in the end. Unfortunately, the constant monotone releases dictate other companies to follow suit and place on the market clones of mediocrity. Coach Poppy Eau de Parfum is a fragrance of mouthwatering sweetness, albeit short-lived. This candy-ness is lifted by mandarin orange, freshened by cucumber, and softened by marshmallow. It is a fun, girl-in-pigtails smell. Unfortunately, in a few minutes the almost undetectable marshmallow drydown is all that remains. It lasts for 4 hours considering the barely-there drydown, or 1 hour of actual easily detectable scent. Like with a lot of light fragrances, the sillage surrounds the wearer with a small trail. As a spring or summer day scent, Poppy is uplifting and non-invasive once it hits the too-soon drydown. I’m sure it could have been a less frivolous fragrance if it passed quality assurance. If all that is being craved is a jolt of confectionery without the health detriments, Poppy may be worth purchasing. Coach Poppy Eau de Parfum Spray: 2 x 0.16oz (4.7ml) for C$27.50, 1oz (30ml) for C$45.00, 1.7oz (50ml) for C$65.00, 3.4oz (100ml) for C$85.00 @ Sephora,ca. 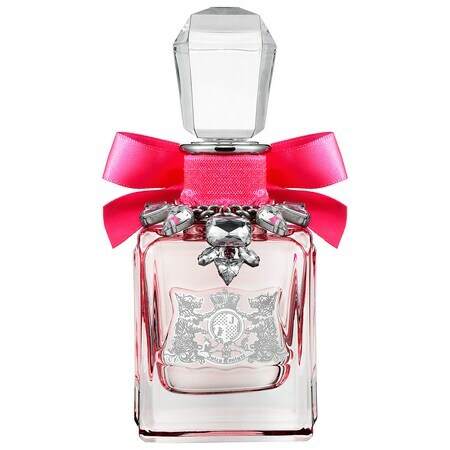 Coach Poppy Eau de Parfum Purse Spray: 10ml for £17.85 @ Escentual.com. Coach Poppy Eau de Parfum Spray: 30ml for £32.30, 50ml for £33.00, 100ml for £46.67 @ Escentual.com.